Did you know that more comfortable garments can reduce human errors by 56% - increasing productivity? The Kimtech A8 Cleanroom Coveralls deliver, so that your workers can do their very best. They are made with a lightweight, innovative fabric that moves with the worker, and feature built-in thumb loops to protect your people and processes, and a high neck collar to control contamination risk. These white coveralls also have elastic wrists, ankles and waist. They are designed for protection against dust, chemicals and other contaminants and have a BFE of 94%. The white coveralls are designed for applications including ISO 7 / 8 cleanrooms, Grade C / D, non-sterile pharmaceutical manufacturing, bio-medical research, pharmaceutical compounding and biotechnology. Plus, these protective suits are recyclable through the RightCycle Program by Kimberly-Clark Professional. 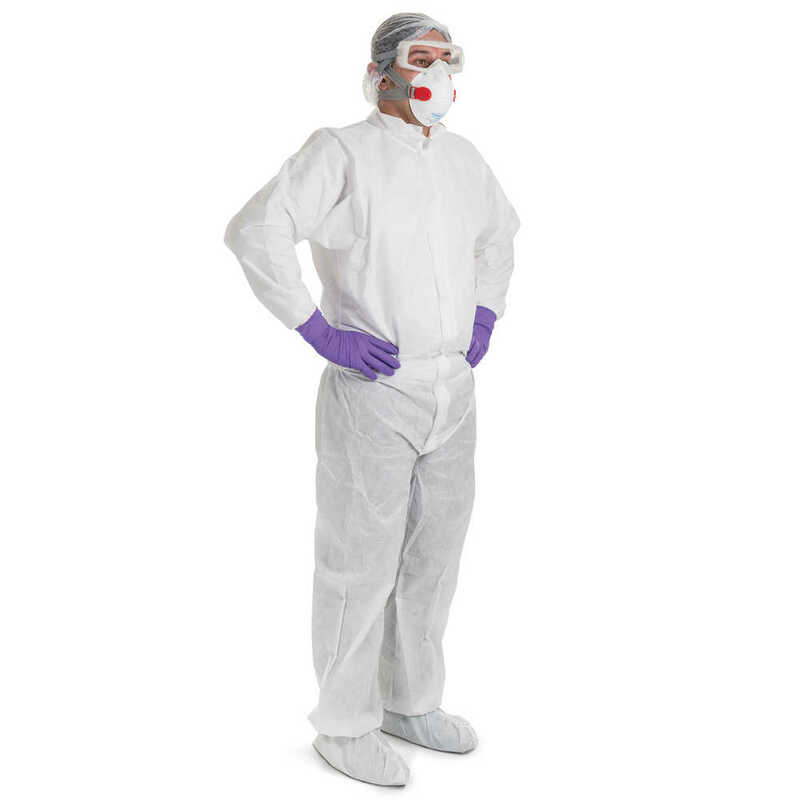 Protect your workers and the quality of their work with the Kimtech A8 Cleanroom Coverall.